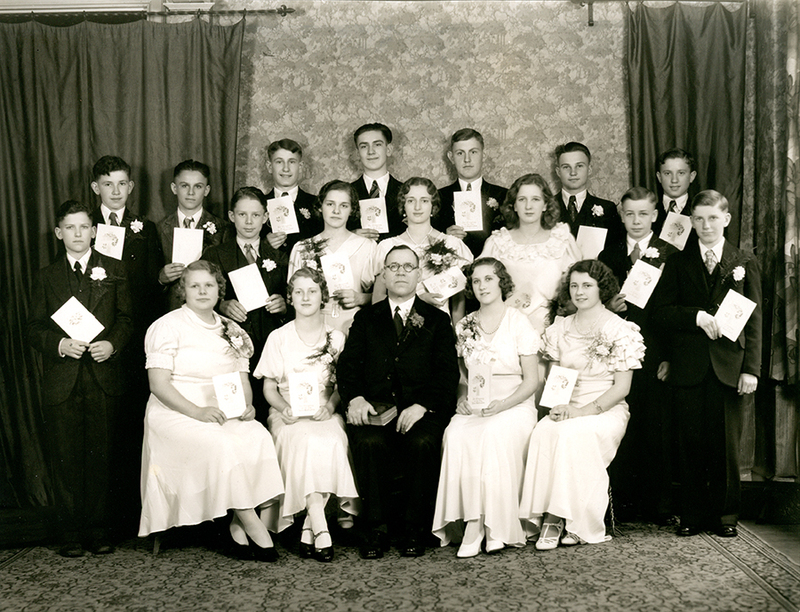 The St. Pauls Evangelical and Reformed Church Confirmation Class of April 9, 1933. Front row from left to right: ?, ?, Rev. Elias Hergert, ?, ?. Middle row from left to right: ?, ?, Mary Erdman, ?, ?, ?, ?. Back row from left to right: ?, ?, ?, ?, Heinrich Schmidt (Smith), ?, ?. 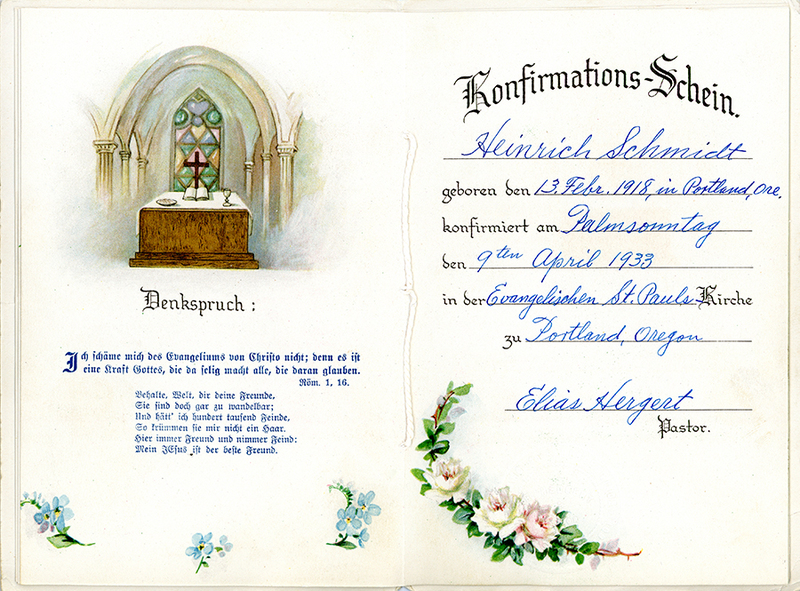 Inside pages of the the "Konfirmation-Schein" (confirmation certificate) that Heinrich Schmidt is holding in the photograph above. Courtesy of Steve Schreiber. Photograph courtesy of Steven Schreiber who identified his uncle, Heinrich Schmidt. Mary Erdman was identified by her son, David Beltz.